I don't come here anymore but this is something I feel is useful to the community. I received this phishing email today. 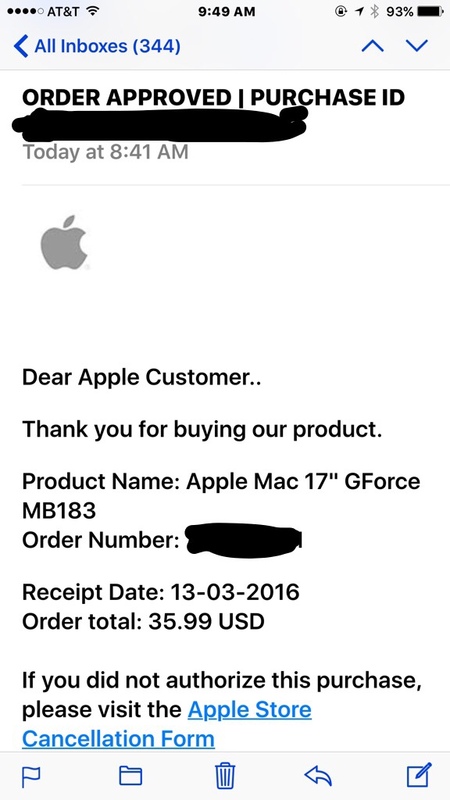 Be aware that Apple won't ever send a link through to verify a purchase. Thanks for sharing this ! There are some people that won't be aware that this is not Apples motto. Appreciate the heads up. Thank you! My mother called me the other day and she was like: Hey can you come on TeamViewer please? I got an email from "Apple" asking to verify a purchase of Adele's album but I never bought it. I found it weird, I logged in, she showed me and I told her to delete that and to always check the sender's email address to make sure (not @apple.com =/= Apple). It was a rather random Gmail address. I'm glad you've put it on here so people can be made aware of it (very easy to fall for it). I, myself, was flabbergasted at the sight of it. Thanks for the to tip!